Congratulations to all the second class pupils who received the sacrament of Confession on Tuesday 14th March. 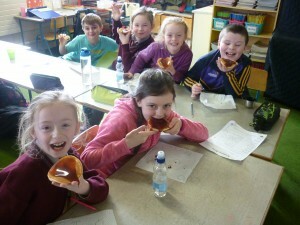 The bookworms of Kiltealy NS are busy beavering through David Walliams, Harry Potter, Roald Dahl and Michael Morpurgo!! 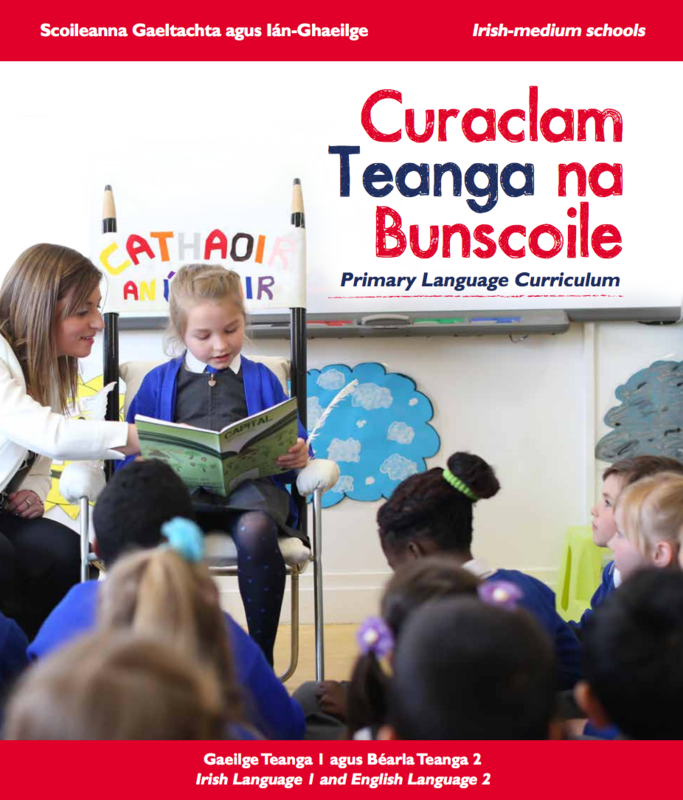 Kiltealy NS will be closed for pupils on the 10th of May as teachers must attend new language curriculum training. Through our Active Flag we are raising awareness of fitness among children. We will be aiming to explore as many avenues as possible to keep the children fit and active. Active Archie has arrived in Kiltealty N.S. and has visited the children to say hello. 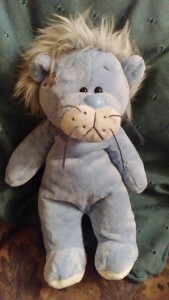 As his name suggests, he likes getting lots of exercise and he really enjoys trying new activities. We would like to invite boys and girls in the junior classes and their families to bring Active Archie along with them if they are doing some kind of physical activity, or going to a sporting event as either participants or spectators. Active Archie will help us see all the activities that the children are involved in at home. This may be organised activities or simply bouncing on the trampoline. Active Archie will be having all sorts of exciting adventures in the next few months! It would be great if the boys and girls could write about what they did with Active Archie and/or draw a picture about their adventure. Hopefully Active Archie will get to do lots of fun activities with the boys and girls and their families. 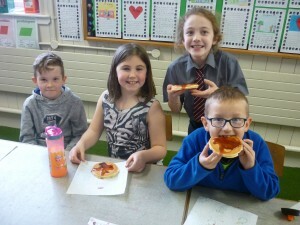 World Book Day Celebrations !! Congratulations to both our hurling and camogie team on reaching Round 2 of the Allianz Cumann na mBunscoil Mini Sevens League. Our camogie team had an impressive victory over St. Aidans in Round One ensuring a place in the 2nd Round. Our hurlers played 2 games in Round One and emerged as group winners. 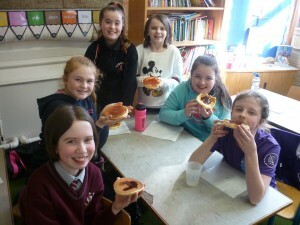 They had quite a comprehensive win over Boolavogue in their first game. They beat St. Aidans in the second game on a scoreline of 6-5 to 0-2. Well done to both teams and best of luck in Round 2. These matches will be played next week. 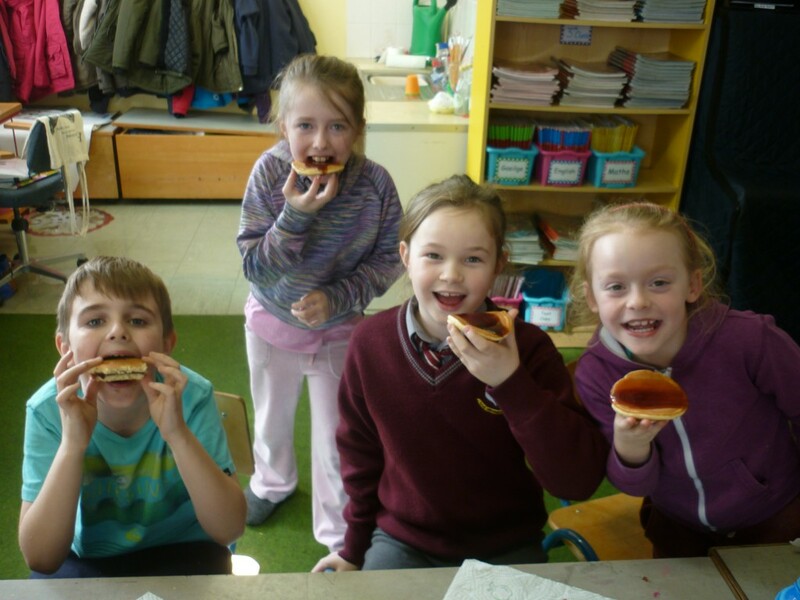 At the beginning of March we had a visit from Clíona Connolly, Environment Awareness Officer with Wexford County Council. She came to see how we were getting on with our efforts to achieve our next Green School Flag. Great work has been done over the last 18 months and Clíona Connolly was very impressed with all the initiatives going on at present. Clíona visited our classrooms, met with the Green Schools Committee and inspected our very informative Green Schools Notice Board. Congratulations to all pupils and in particular Our Green School Committee who gave Clíona a comprehensive overview of the work being done in our school. We will soon be submitting our application for the Energy Themed Flag and are very hopeful to be successful in achieving this. Keep an eye on our website and hopefully we will have good news in the coming months!! 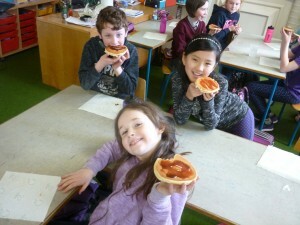 Third and fourth class learned all about Shrove Tuesday! We even had a chance to taste some pancakes with some of our favourite toppings!